Why does STCGP Facebook Page Twist Facts? 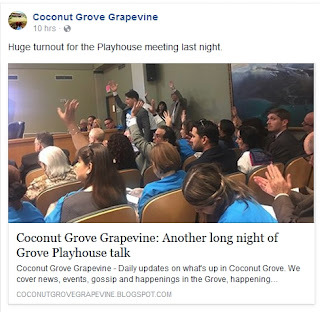 We’ve reported on the inaccuracies of the SAVE THE COCONUT GROVE PLAYHOUSE before, but in light of the recent posts following the update, we feel it’s necessary to undo the damage they are doing by basically fabricating stories to bolster their opinions that the current ruin of the Playhouse should be restored to an unusable white elephant. Howard Rogut, indeed, has years of Broadway experience. But Miami is not Broadway. The market is completely different. As a production manager, I have had many discussions with Broadway producers over the years, and I always have to educate them in the realities of regional theatre economics versus Broadway. I have a lot of respect for Mr. Rogut’s record on Broadway. 21 years running the Jujamycin Theatres is no small accomplishment. But it’s not regional theater in South Florida. 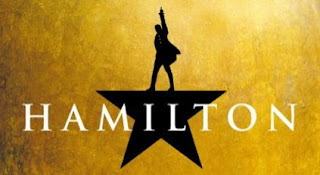 The calculations for actor salaries on a LORT contract include the number of seats available for sale during the run of a play. The more seats, the higher the salary. If you’re selling enough of those seats, then the numbers work. At the same time, regional theatres sell more individual tickets towards the end of the run, as word of mouth - or reviews - circulate. So the production typically needs to run at least three weeks. But because of the subscription model, the production can’t be open-ended, so a run can’t be more than five or six weeks. This is very different from Broadway, where you run a play until it fails to break even. The runs are planned for years, if not quite open-ended. They have a lot more potential revenue. And factor in that Broadway is a tourist destination. Very few regional theatres have achieved that status. A production on Broadway has a much larger pool of ticket revenue to fund its operations. In fact, it’s effectively infinite, in the case of the open ended run. Yes, they have a minimum to make per week, but each week of run also pays back the initial cost of production. At some point, the initial investment can be earned back, and profits begin. And with a successful play, the sky’s the limit. But in regional theatre, that investment is rarely recouped. In every production I have ever staged, I have know how much the production can potentially earn to the penny. It’s a function of how many seats are available to sell through the run. And it’s a hard, immutable line, that very few regional productions every hit. Vic Meyrich is also a production manager. He works at the Asolo Repertory Theater, which has three performance venues: the 500 seat Mertz Theatre, the 161 seat Cook Theatre, and the Asolo Theatre, which has 200 seats. So when STCGP says that Vic “runs 1000 seats,” they really mean he runs “861 seats split between three halls.” But the reality is that the Asolo Repertory Company is based in the 500 seat venue. in fact, it EXPANDED to that 500 seat theater, after many years based out of the 200 seat theater. When I worked with Jose Ferrer, a former artisitc director of the Coconut Grove Playhouse, we discussed the problems he faced there. 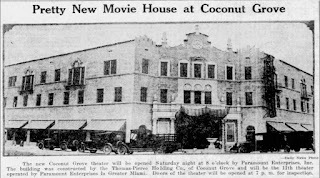 He was preparing to direct the first play at the new home of the Theatre Club of the Palm Beaches. They had just moved into their new 250 seat venue, and he mentioned that the biggest problem he faced at the Grove was the immense capacity. Mr. Ferrer was very impressed that Louis Tyrell had created a reasonable sized operation, and wished he’d been able to do the same in The Grove. STCGP also invokes Michael Eidson, whose background in professional theatre is he was on the board of the Arsht Center for the Performing Arts. He’s a lawyer, not a theatre impressario. And while it’s great that he served on the board of the Arsht Center (which is a presenting house), that does not make him familiar with the realities of running a regional theatres, all of which are PRODUCING houses. And while it is true that the Arsht has partnered with Zoetic Stage (which IS a producing theatre), please note which space Zoetic is based in. I’ll give you a hint: it’s the one with a lot less than a thousand seats. While it’s true that a number of them are more than 300 seats, not one of them approaches 1,000 seats. I submit that that is not an accident. The Grove ended up in a top tier LORT category because of its capacity, but lost money because it had more deadwood than occupancy over the course of a run. And the folks behind STCGP want to force history to repeat itself. We’re getting a little break in the weather, a very slight taste of winter. What better excuse to head into a nice warm theatre? This first week of January is a quiet week, as a lot of companies just closed productions at the holidays, and are still rehearsing for the next show. But that doesn’t mean that there is nothing to see, because there is always SOMETHING to see somewhere across South Florida. Copyright Workshop - January 28. You've designed a set, and the theatre you designed it for sold it to someone else, and now a third theater is using it and claiming design credit; what are your rights? You're directing a play, and want to use a video clip during a transition. Is it free because you found it on YouTube, or do you have pay someone a royalty? You're a school, and you want to perform play, and you have a copy of the script; do you really need to pay royalties for one weekend in the gymatorium? You're producing a play, but you don't like the language in one scene; canyou just cut dialogue, or shift it from somewhere else? You're choreographing a musical, so you watch the movie version to copy the moves; is that legal? All these questions and more will be addressed at the South Florida Theatre' League's copyright workshop on January 28. The course will be conducted by two local attorneys, Susan Dierenfeldt-Troy and David Rogero, who between the two of them, have over fifty years of combined experience in the area of intellectual property law. And if you're a lawyer with an interest, the Florida Bar will award 4 CLE credits for taking this course. You can read more about it, and sign up for it HERE. Yes, it’s been awhile. We’re hoping that the new theatre season will give us a little more time for keeping up with the blog. Last year hit hard and heavy, and while this year looks to just as busy, this year we’re better prepared for it. We hope. We’re going to try to start back up slowly – don’t look for review roundups, but we’ll have your Monday reading list on, well, Monday, and The Scene will publish every Thursday. It’s a new theatre season, and for the Kravis Center, it’s their 25th Anniversary. The Shiny Sheet reports they celebrated with a festival of performances. The Sun Sentinel posted their Guide the Arts, which includes a lovely spotlight on Niki Fridh and Matt Stabile. Of course, the Miami Herald also have their Season of the Arts Guide, and they list their Top Ten Theatre Events for this season. Not to be left behind, Palm Beach Arts Paper also has their 2016-2017 Season Preview up. When the national tour of RENT plays the Broward Center next week, it’ll be a homecoming for Christian Thompson, and the Sun-Sentinel speaks with him about it. I've already warned my cast that I'll probably be sobbing all three nights. This is one of the best ways to say thank you to everyone who has helped me on my journey to succeed. To have those people ... see me succeed will be just a blessing…. I saw my first show at the Broward Center. I saw "Cats." As for the space, the Palm Beach Daily News reports that the owner is undecided as to its fate. The Theatre League is hosting a workshop on copyright law. And you should probably attend if you’re producing, directing, or doing design work. Cost for the Copyright Law and Its Application to the Theatre and Performing Arts Community workshop will be $10 for League members, and $25 for non-members. Tickets are available on line; tickets will also be available for purchase at the door, the day of the event. Please buy in advance -- if we do not meet a minimum number of ticket sales we will postpone the workshop to a further date. Florida Bar CLE credits pending. You really should attend if you have ever written a play, or directed a play and wanted to make adjustments, or if you want to play specific music or snippets from movies. What is permissible? What needs to licensed, and what are the penalties if you don’t license? 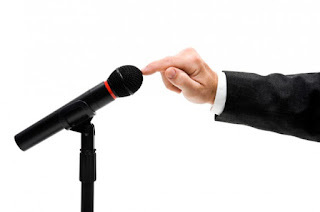 In this internet world of connectivity, you really need to know what you’re doing. The new Fair Labor Standards Act regulations are aimed at small business exactly like all of our smaller theater companies, and Butts In Seats has prepared The Talk for you. The problem is that depending on stop-gap measures and pressure of organizational culture will no longer be viable in the face of this new salary threshold and expectations of a work-life balance that new employees are bringing to the workplace. The article references another piece from American Theatre Magazine that you should also read. The salaries of most small theatre companies fall within the affected pay levels, and if you’re managing a theatre or sit on its board, you need to know this stuff. 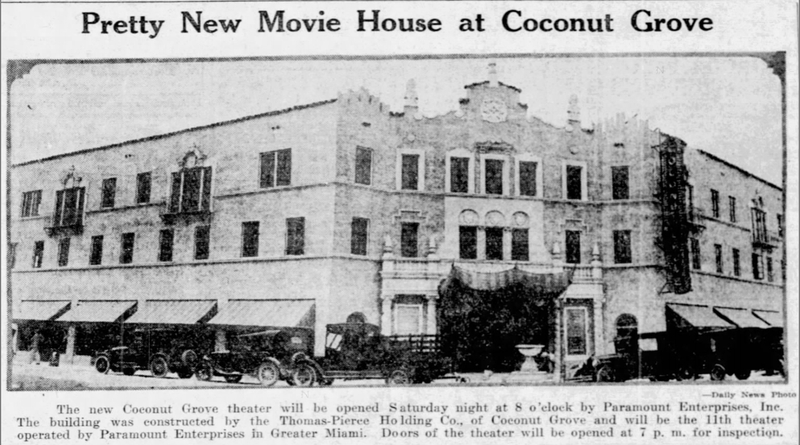 …in Palm Beach, the Royal Poinciana Playhouse is still closed. While no firm plans have been made about when (or if) work will start, there’s some kerfuffle about the number of seats back in April, according to the Palm Beach Daily News. Work on the site plan options for the Coconut Grove Playhouse is underway by the County’s design team led by Arquitectonica International Corporation. This process is being informed by the team’s theater consultants, Fisher Dachs Associates; structural engineer, Douglas Wood Associates; and historic preservation architect, Jorge Hernandez, among other design team members. Fischer Dachs Associates worked on The Broward Center (both the original construction and the renovation), and Doug Wood was the structural engineer for the renovation of The Miracle Theater for Actors’ Playhouse, so the project is in good hands. But what that project will be is still under development. And a few weeks ago, Miami Today News reports that it may finally be placed on the National Register of Historic Places. … In Broward County, the Hollywood Playhouse is now a church, so this is the last entry for it. But Abandoned Florida has a lovely history with photographs. Hello, is this thing on? Is anyone still out there? 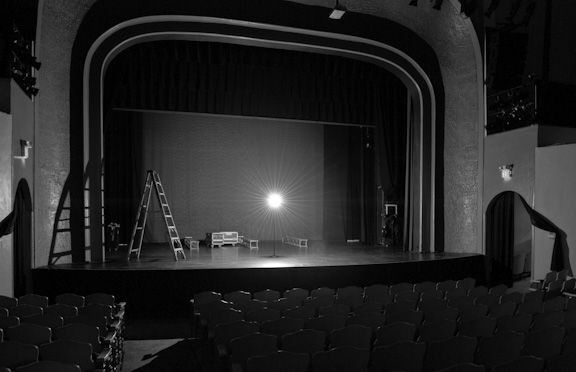 The South Florida Theatre Scene returns from its mysterious hiatus tomorrow morning.